After you have added your lesson to Moodle, there are many features to use to build the lesson exactly how you want it. The lesson will be a compilation of pages filled with content for students to review or questions to be answered. Before starting to build the lesson, you should have a general idea of what the lesson will be about. To add content to the lesson, click on one of the blue links under "What would you like to do first?" 1. The Import questions button will allow you to add an external file to the lesson. When you click it a drop down menu will appear where you can choose the format of the import. 2. The Add a Content Page button can be used to assist in moving the lesson forward without requiring specific questions to be answered. 4. 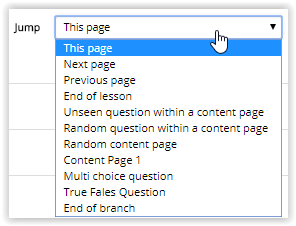 Add a Question Page allows for a variety of different types of questions to be added to the lesson. Move Page : This option allows the user to move the page to a different position. Update Page : This option allows the user to edit the settings of the selected page. 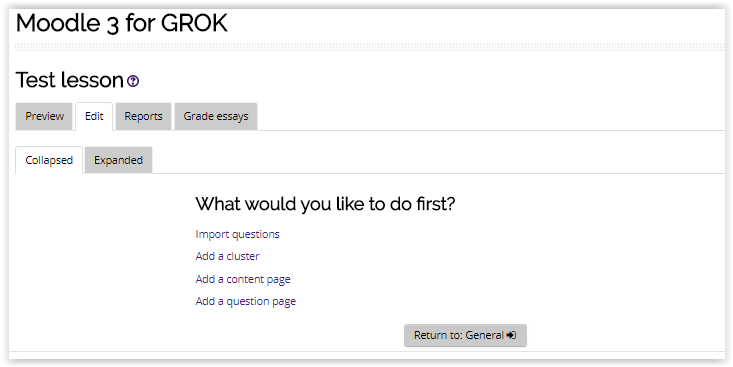 Preview Page : This option allows the user to view the page as it would be seen by a student. Delete Page : This option allows the user to delete the page. After adding the first piece of content to the lesson, the next screen will display what you just added. 1. To add additional content, use the Actions drop down box on the right side of the window. The new content will be added directly under the content of the dropdown box that was used. 2. 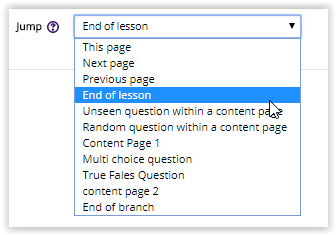 Keep in mind that when adding any type of content to the lesson, you can specify where you want the lesson to go using the Jump drop down box. 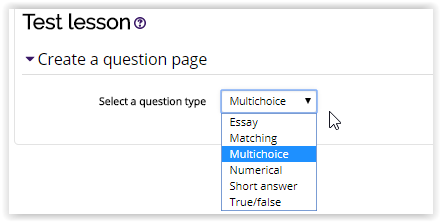 For example, if you want a true false question to appear directly after a student reads a content page, then when adding the content page you would choose the question from the Jump drop down box. 3. 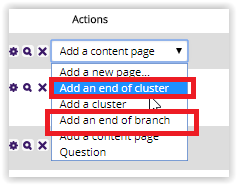 To end a branch of the lesson or to end a cluster, use the Actions drop down box and select either of those actions. 4. To end the lesson, click the Settings button (gear icon) and edit the Jump option for the last bit of content to End of Lesson.